This post is representative of the sentiments expressed by so many of our happy customers. 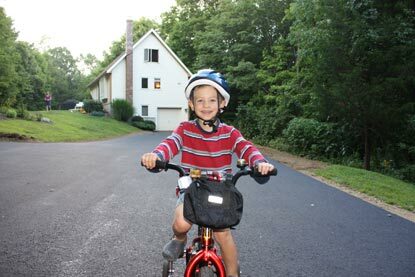 A residential driveway job changed the life of a family with small children. Below is a statement they made that they wanted to share on our website. “We are absolutely delighted with our driveway, but even more impressive than the final product was the entire crew. They were all genuinely friendly and clearly took pride in their work… We also can’t thank the guys enough for the experience our 4-year old son got to have while “helping” them. I don’t think he’ll ever forget it… We were just so happy for [our son] to have that experience.” Sincerely, Greg & Carrie G., Willington, CT.